The picture of Mrs Mutinta Hichilema, being denied entry to deliver food to her incarcerated husband, at Mukobeko Maximum prison a few months ago shocked the democratic world. The degree of the civilization of a nation is determined by the way it treats it’s prisoner’s. On that score our reputation as Zambia lies in ruins. If the plan to arrest HH and throw him into loneliness and pain, was meant to isolate and weaken him politically. That shabby, brutal and sadistic plan is clearly falling apart. What was a local political problem has now assumed dimensions of international proportions, rapidly transforming HH into a statesman. The visit of HH by President Obasanjo at Zambian government’s expense is a significant development in this unfolding political drama. It is significant because President Obasanjo is a highly respected man. 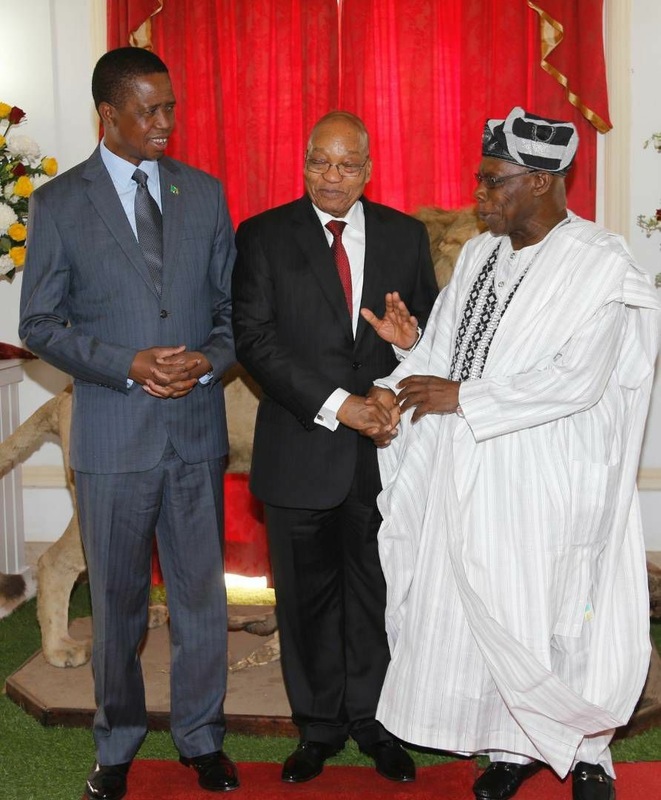 By providing a Zambia Air force plane for the Obasanjo Mukobeko visit. The government is by implication acceding to the fact that it has no case against HH. The cash strapped Zambian government is not in the business of ordering the use of expensive planes to visit suspects it firmly believes have committed the alleged offences. It is not too late to resolve the unnecessary and costly HH incarceration. The State should release HH so that the tension and uncertainty that has engulfed our motherland can be diffused. Zambian’s will indeed be happy to see the day, when hate is replaced with love, arrogance with humility and animosity with brotherhood.